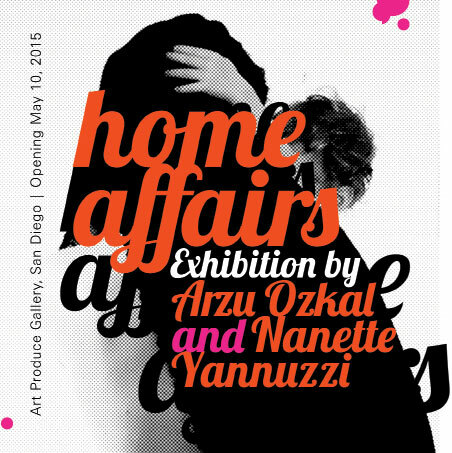 Home Affairs is an ongoing collaboration by Arzu Ozkal and Nanette Yannuzzi that intends to challenge mainstream representations of motherhood through a photo-based, screen printing project. The artists are inviting mothers to come to the gallery on Mother's Day for a photo shoot. All photographs will be included in the exhibition catalog. They define "mothers" widely.